Indy Eleven’s passionate fans have a new hero in coach Tim Hankinson, who in his first year stalking the sideline at Carroll Stadium led the third-year club to his first postseason berth and has been named the 2016 NASL Coach of the Year. Introduced as the club’s second head coach, on Dec. 2, 2015, Hankinson helped to engineer an impressive turnaround for the Boys in Blue. With Hankinson at the helm, the club embarked on a path to integrate a number of talented veterans into the squad and to bolster an offense that last year came to depend on scoring from the midfield. 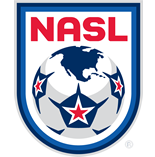 Over the course of the NASL Spring Season, Indy cobbled together a 4W-6D-0L record, capturing the Spring Season title on a tiebreaker over the New York Cosmos. The club knocked off FC Edmonton, 1-0, on Nov. 5 to reach The Championship Final and will face the New York Cosmos. “Awards come with many layers to it,” Hankinson said. “I look at the front office; our ownership; our general manager and president – the support they’ve given us; my technical staff – guys like Tim Regan, who has coached in this league all three years, he’s been here; as well as medical and other people behind the scenes; and the players. Hankinson grew up in Manhattan and played as a youngster on the fields of New York City’s Central Park, exposed at an early age to the city’s diverse soccer-playing population and their varying styles and approach to the game. Perhaps those early years set the stage for Hankinson’s many travels in the world of soccer. In addition to a successful coaching career in college that began at Oglethorpe University at age 34 (and later continued at Alabama A&M, DePaul and Syracuse), he has led teams in Iceland, India, and Jamaica. Hankinson has also put in time in the USL and MLS. In 2011, he became the first coach in the history of the NASL’s San Antonio Scorpions, remaining with the club through the 2013 season. That led to a stint as coach of Montego Bay United in Jamaica, a club from which he obtained forward Omar Gordon on loan this year, and then to Indianapolis.